Although it’s been a while since Burberry beauty landed on Singapore shores, I remember still feeling pretty excited that this classic luxury brand had finally made it’s own make-up line following in the footsteps of Chanel, Dior and YSL. Skeptics say that they can’t possibly make as good a product as they can with their fashion, but with YSL’s touche eclat, Chanel’s vita and matte lumiere and Dior’s lipsticks and nail polishes, it’s only about time till they come out with their own cult product. 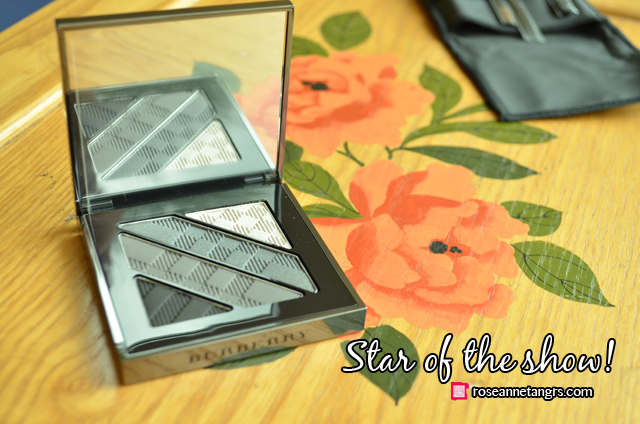 Today’s star of the show is the Burberry Complete Eye Palette, my very first Burberry beauty product, in Smokey Grey (No. 0 1). I love the packaging of these beauties. The trademark criss cross pattern is printed not only on the beautiful mirrored casing, but also on it’s sleeve and onto the powdered product itself. It’s simple, classic and beautiful and the chrome texture is just the right thing to differentiate itself from any other make-up brand. The Complete Eye Palette states that it is a quartet of colors that are densely pigmented and designed to have all that you need for a basic eye look. The black here can also be used with a liner and that’s probably why the sleeve also includes a liner brush (but I’m not very keen on powder liners anyway). The eyeshadows are also said to have a skin protecting formula with satin smooth silicones and enriching conditioners. 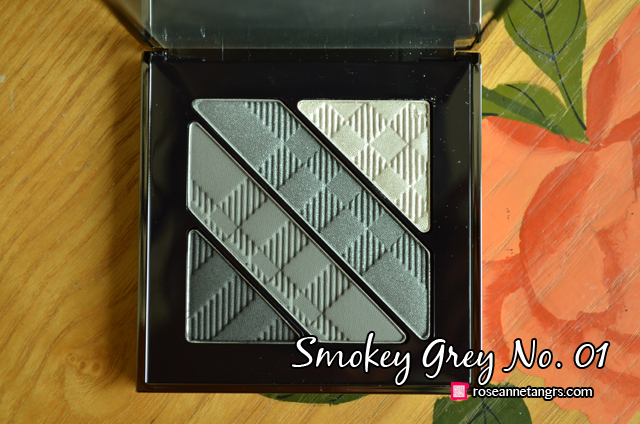 The Complete Eye Palette also comes in a few other shades besides this grey smokey combo that comes with a matte black, matte darker grey, opalescent lighter grey and white. But how good are these shadows? Not bad at all. In fact, there’s absolutely nothing to complain about. 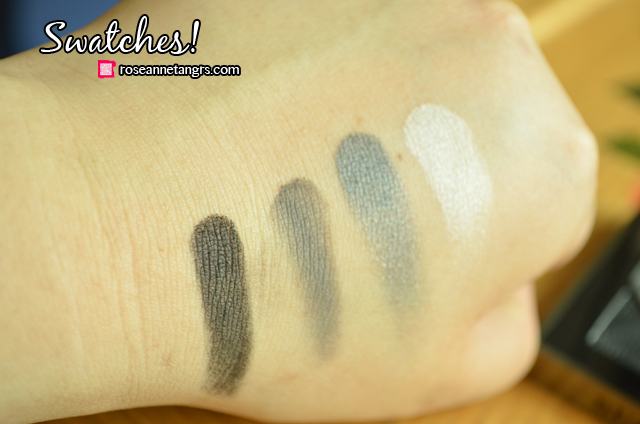 I love the texture of these eyeshadows, they aren’t dry and stiff but reasonably creamy and smooth. It’s very reminiscent of the Urban Decay shadows and also the Wet N’ Wild palettes which in my opinion have some of the best. They also have great pigmentation as you can see with one swipe below. 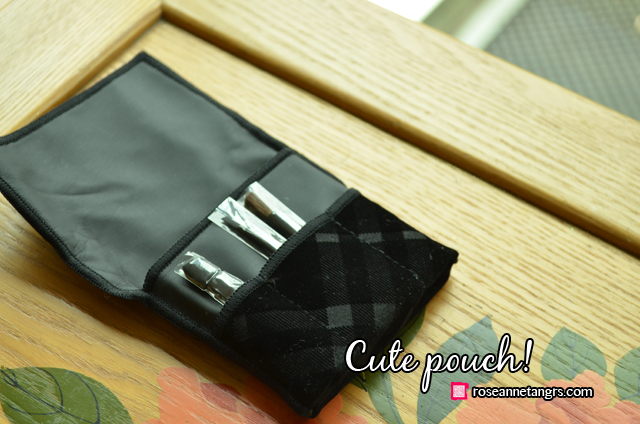 It’s also cute that this is the first time I’ve seen a luxury sleeve that has a little pocket for not one but three little brushes! Who uses these anyway right but I found the fluffy brown one to be actually quite good. And to be honest in case you ever need to apply eyeshadow outside, these come in handy when you don’t have space in your pouch for your regular eye brushes. Just remember to blend out with your fingers if all else fails. 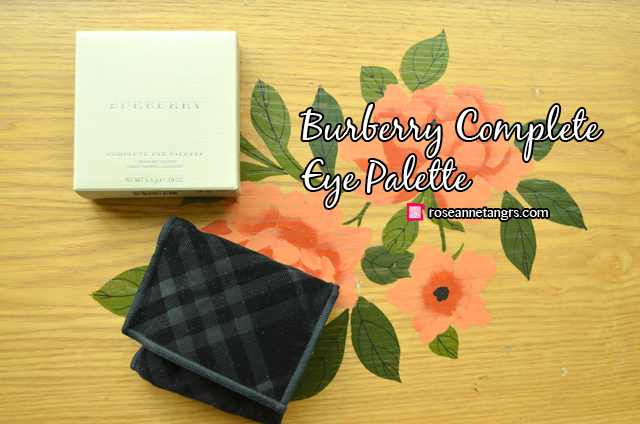 So here’s a little tutorial of me applying the Burberry Complete Eye Palette. I’ve done a really simple, easy and great for daily wear look that you can do with this quad. 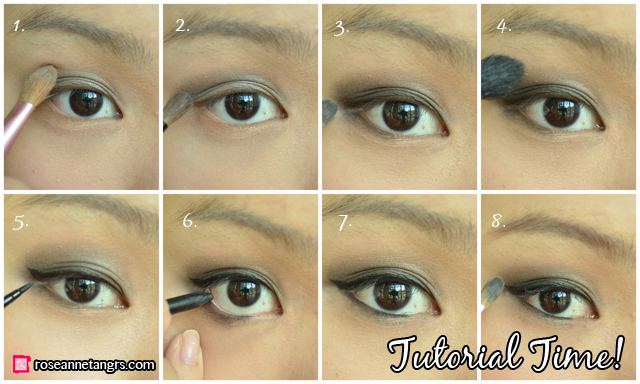 You can always add more of the matte black if you need to make it more dramatic in the outer corner. Overall, they applied very well! Overall, looking forward for sure to trying more Burberry Beauty! I’m really liking it so far! Hope you had a great weekend everyone! My Online Store roseanne.sg is COMING very SOON + Weekly Giveaways!! Need a new Scent? Introducing L'Occitane Collection De Grasse & Giveaway! Simply gorgeous! 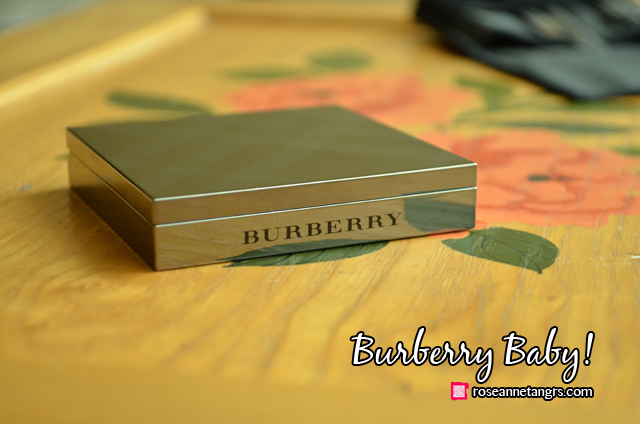 I have used the Burberry cheek color and love it but this is on my must have list now! Thanks.